We see a fair number of data transfer applications here at Tapscape, some for retrieving lost data, others for iTunes-free backups or just generally circumnavigating the restrictions of the Mac ecosystem. SynciOS Mobile Transfer for Mac is the latest to join the data transfer party, and comes out looking good against some stiff competition. When it comes to general data transfer – getting your photos and messages and so on from your iPhone to your Mac – iMobie’s AnyTrans has turned out to be a solid favourite. It’s stylish and dead easy to use. 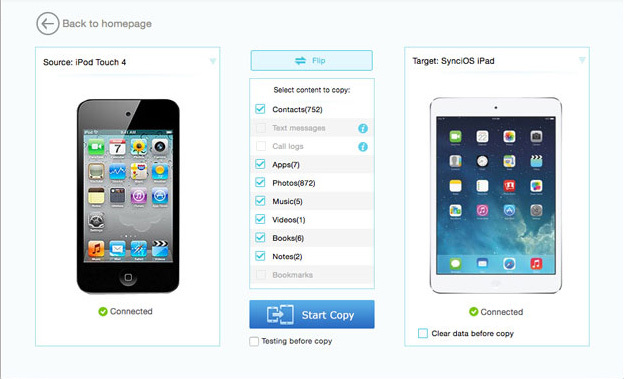 SynciOS’s offering has an equally sleek interface and is just us user-friendly, although it aims to solve a different aspect of the data transfer problem. The focal point here isn’t general data transfer, but rather backups, restores and phone-to-phone direct transfers. You can copy specific data types to your Mac with SynciOS Mobile Transfer, but it feels like that is a sideline feature instead of a headliner. When you’re using it for its key features, the backups and so on, this application really excels. And it’s not just for Apple fanboys either. Android users are catered for too – in fact, Android-to-Android transfers prove the most thorough, copying the widest range of data types. Copying to an iOS device still gives you your contacts, videos, photos, audio and bookmarks, but cuts out messages, call logs and apps. The interface to make all of this happen starts with a Windows Phone-esque flavour, with slabs of flat colours, while the deeper menu system is kept neat with lots of white space and clean fonts. Running the core functions – backups and so on – takes nothing more than a couple of clicks, and even the more finicky device-to-computer transfers are hardly taxing. One extra bullet-point feature which deserves special mention is the ability to sync your iTunes music library to another device without having to work through iTunes. We understand the digital rights management issues relating to music ownership, but there’s still something frustrating about the strictness of Apple’s methodology. SynciOS Mobile Transfer makes it easy to cut out the hurdles between you and your music collection. Before you spend your money on an application like this it’s important to know that you’re getting what you expected for your cash. If what you want is a transfer app which offers deep flexibility with regards to specific files moving between your computer and your phone, then this bit of software isn’t really what you’re looking for. 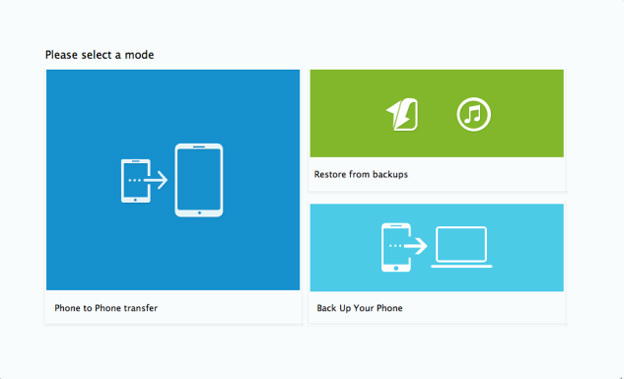 But if your situation calls for a wonderfully simple yet highly practical data backup, restore or inter-device transfer option, then your money would be well spent on SynciOS Mobile Transfer for Mac. Interested? Get ithere. 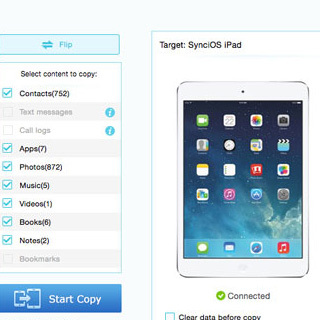 SynciOS is available for Windows and Mac. For a limited time you can also get SynciOS on a lifetime license for a reduced price of $9.95 (down from $39.95. You can visit the SynciOS website to redeem this offer.